You’ll love this sugar-free and low carb sweet and sour sauce! Serve it with meat or fish, or as a dipping sauce! Disclosure: I was provided with this sauce thickener from LC Foods free of charge in exchange for my fair and honest review. Please see my disclosure policy. The following post also contains affiliate links. Since starting low-carbing in 2008, I’ve pretty much given up Chinese food. The sugar content is usually sky-high, and of course there often isn’t any way to avoid the rice and noodles. 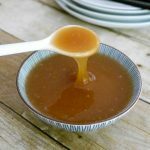 So when I got the opportunity to put this thickener from LC Foods to the test – I decided to try and make my own version of the thickest, gloopiest sauce I could think of – sweet and sour. When I started to look at the standard ingredients of this sauce, I was horrified to discover that it is often made up of 50% sugar – also with pineapple juice as well! I knew I could do better than that. But let’s look at the product first. 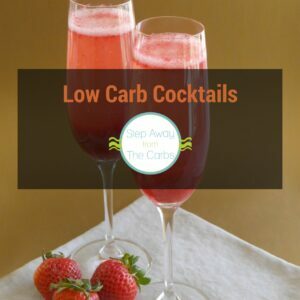 If you’re not familiar with LC Foods, they make all kinds of mixes that make low carb life more convenient – from pizza bases, to bread, to ice cream – and much, much more. LC Thick’n Saucy is a zero carb product that can thicken hot and cold liquids – no heat required! The ingredients are listed as “Proprietary/patent pending blend of natural vegetable and natural plant and natural tree gums.” It is gluten free, sugar free, and doesn’t contain preservatives. To make the sauce, combine the following in a jug or tall container: apple cider vinegar, water, low carb ketchup, liquid sweetener, and the LC thickener. Now, I know you’re going to have questions. So first – the ketchup. There are three products that I like to use: Heinz Reduced Sugar Ketchup (1g net carbs per tbs), Walden Farms Ketchup (0g net carbs per tbs) and G Hughes ketchup (which is 1g net carbs per tbs, and which I first highlighted in my Bacon Stuffed Burgers recipe). Find one that you like – any of them will work fine in this recipe. For the liquid sweetener, I go to my favorite sweetener for sauces and drinks: Da Vinci Sugar Free Sweetening Syrup. 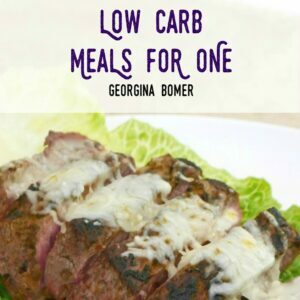 It’s zero carb and although it is available in many flavors, I use the plain one as it is so versatile. Also, by using ingredients that are all liquid, this is a no-cook recipe! I’ve given a range of measurements in the recipe card – start with the lowest amount and add more as necessary. Actually, the ingredients are all so low in carbs that you can feel free to add more of anything so that you get the required balance! Hopefully you’re not too overwhelmed by the extra ingredients mentioned here. But if you’re serious about low-carbing you’ll find so many uses for these products. Most can easily be purchased online through low carb specialty stores like LC Foods or Netrition – although the Heinz ketchup is easily found in regular grocery stores. You can use a whisk to blend the ingredients together, but an immersion blender (stick blender) is even better. Immediately you’ll get that thick texture that really makes the sauce! You can see a video of it on Instagram (and make sure you’re following me while you’re there)! You can use this low carb sweet and sour sauce for dipping (it would be great with shrimp! ), or combine it with pork or chicken and serve it with some shirataki rice! Mix the first four ingredients together, using only ¼ cup of the sweetener. Add more if desired. Add the thickener and use an immersion blender (stick blender) to blend the sauce until fully combined. 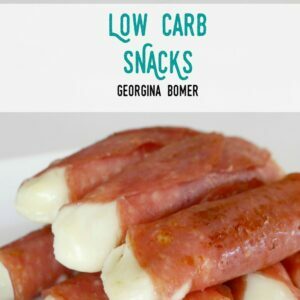 1g net carb per serving (¼ of total recipe). Nutritional data based on using Heinz Reduced Sugar Ketchup. 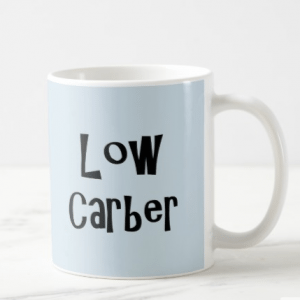 Remember to get your low carb thickener from LC Foods – you’ll use it for SO many things!